The biggest mistake sellers can do is assume all fsbo sites are all the same. Some of the local fsbo sites have a restrictive contract, some ask for additional payments to be made at closing, and some just fall short of having the experience and viewer base to actually get you the exposure you need. It can be frustrating trying to decide which site is going to give you what you need and at a reasonable price. In this article we wish to inform you on what to look for (and what to look out for) when choosing a fsbo website. You will agree that your main concern should be exposure. In order to get the exposure you need, the fsbo website must offer lots of quality photos and a great amount of detail. 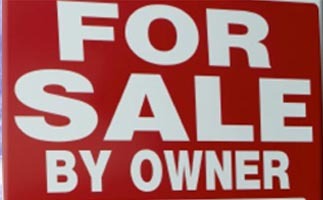 If your fsbo ad has “No Descriptions At This Time” and few photos – expect fewer results. Your property will be judged by the photos and information provided. Exposure is amplified by the quality of content, website layout, site longevity, and success rate. The fsbo website needs a responsive layout so that it can be easily viewed on any device. 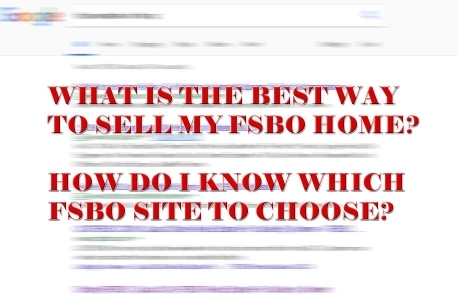 In today’s fast past world – mobile phones have become the “go to” device… If your fsbo ad cannot be displayed properly on any device – you are missing quality leads. The site should also offer the ability to have you login and make changes on the fly. Quickly editing the content is crucial in most cases. Getting that open house posted a.s.a.p or making a price change on Saturday night at 10pm should be possible. Don’t call and have to wait for your ad to be updated. If a fsbo site is new or has not been around long – they will not have the viewer base necessary to get you in front of lots of buyers. They may claim to have sold millions of dollars worth of homes, be the “smart” way to sell, or have a so-called large facebook following, etc – but claims must be backed up with proof. Be sure to check every claim they make. If there is no link or details about the claim – the claim is unjustified and unproven. Why take their word for it? It is easy to provide proof of a claim if the claim is true. The best way to check a site’s success is to look at their sold pages and read their customer testimonials. 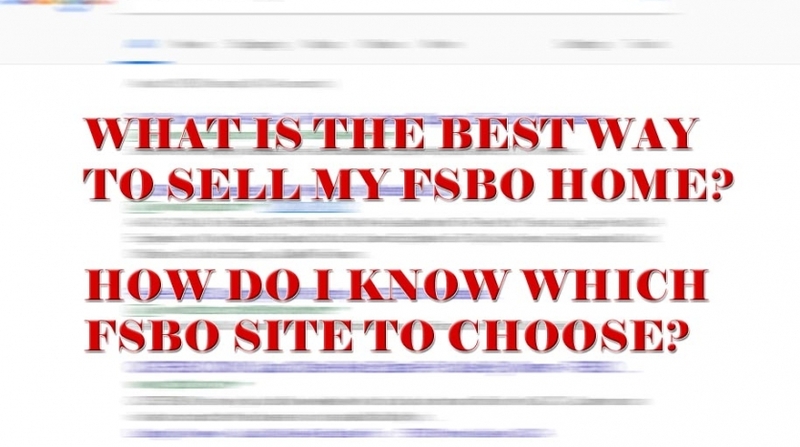 A successful fsbo website should provide what the viewer wants and needs. Viewers Want Quality Content! They need to know as much as they can about the home in order to make a rational decision. The idea of showcasing your property online is to appeal to the viewer… Make them want to come see the home in person – fall in love with it – and, purchase the home. If the site has provided what the viewer needs, they will have a good success rate. There are currently a handful of fsbo websites on the QCA. These sites offer similar services but, have a lot of differences that may or may not be noticed. 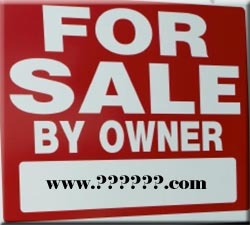 Watch Out For Clone Sites – It isn’t hard to notice websites that mimic other successful fsbo sites. You don’t want a clone… who would? The clone site has simply taken everyone else’s hard work and pieced it together it in an attempt to convince you they are everything you need. If you purchased a jar of peanut butter that says “Bob’s Best Butter – We rival national peanut butter brands!” and then pealed off the label to find it was Jiffy – you would feel deceived… right? These local sites have results pages that look very similar to national fsbo websites, their service & pricing packages are almost a mirror image of ours, and their claims of a large facebook following are supposed to make you think they are a great fsbo site? How many people do you know that can say they found their buyer via facebook?. Sure, sharing an ad creates a small chance for this, but if the clone site brags about fb followers – then, their own site must not generate much activity on it’s own… If I have 500 or 5,000,000 followers – how many of them are looking for a home? Out of those, how many are looking for the home in your state, your city, and at your price range? How many are taking the time to visit facebook to find a home? (I will bet it is less that 1% of 1% at best). This spring-board attempt to jump aboard a moving train and claim they are the conductor has little appeal to those who see what they are up to. Ask the company if it requires a restrictive contract that forbids you from advertising on “certain” websites. One particular qc fsbo site requires a restrictive contract and to my knowledge – it is not posted anywhere on their qc fsbo website. Compare the amount of photos you get per package price vs other sites. If they are the cheapest – why? If they are the most expensive – why? Verify if “you” must provide the descriptions or else your ad will have the dreaded “No Descriptions Available At This Time” next to each photo. Information is imperative when selling a home. Lack of details hurts your chances of selling quickly. Check the site to see if they offer a home comparison function, social share function, save to favorites function, etc. If they do not -it is an outdated site. Social sharing & home comparing cane be helpful tools. Check the extras: Caution: One fsbo homes site offers a small upfront fee, then they have extra services & costs at closing that total upwards of almost $2,000! Another qc fsbo site has travel fees, rush fees, update fees, and other silly fees. Always ask questions. Be sure of what you are purchasing and what services you are getting. If it is not clearly laid out on the website – ask why they would omit this important information. View their sold properties pages to verify a solid success rate (Don’t just believe their claims of selling hundreds of homes – providing a list of sold homes is easy and if not found – they are not proving anything). View their customer testimonials. If they don’t have any or just a few (or if they have blurred client names that cannot be proven) – move on. Customer reviews are the cornerstone of making solid online choices. If they are a new site or franchise in the Quad Cities – is their viewer base established? If they are new – how established can it be? Don’t be mislead: If the fsbo homes customer testimonials are photos of people holding checks of what they saved vs going with an agent. (These are from “all” their franchises – not just the Quad Cities). Any fsbo site can present that statistic (and since most do not have extra costs at closing – the check amounts would be larger that the ones presented on this fsbo homes site). View their properties for sale. If the photos are small and poorly taken – move on. The photos represent your home in a way that must capture the viewer. Beware of gimmicks: If their packages “Always” seem to have a banner stating $200 off the regular price it makes you into think your getting a deal. Ask yourself “Have you ever seen it offered at the regular price or has it always been $200 off”? If there are only addresses listed on the sold properties (no info to provide CMA or other info/photos to know about the sold property), ask yourself if the list is old or how long has it been compiling? Do they offer you services such as listing on other websites, listing on the MLS, or the ability to create and edit your ad any time 7/24? These are just a few of the important questions to ask. And, yes – we have answers to all of those questions regarding our website. *QcHomeShow does have a responsive website design and can be properly viewed on any device. *QcHomeShow does not require a contract or have silly restrictions. Note: if you choose the MLS package, you are entering into a contract with the “agent”, not QcHomeShow. *Descriptions – We take care of the descriptions for you. You also have the ability to login and make changes anytime you wish 24/7. *Zillow/Trulia – Yes, we assist you with your Zillow ad and will allow you to use our photos on the Zillow website as long as you are an active client. *Our sold pages offer detailed info on the property and as of April 2018, the sold pages show complete details of the property without the sellers contact info. *We do not believe in using gimmicks. We have always offered reasonable prices without attempting to convince you that you are saving hundreds off the regular price. Our rates are already a great deal. As always, if you have any questions or comments – feel free to contact us.